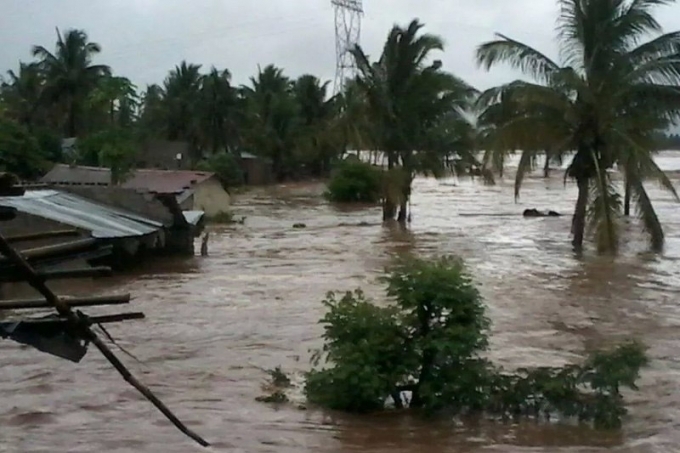 Our news-feeds this month have delivered accounts and photos of tornadoes ripping through Alabama, and of terrible floods in southern Africa and the great plains of North America. The losses were enormous. We might also describe them as unspeakable were we not so used to speaking of such things, so often do they happen. Today Bruce Modahl addresses a question that keeps cropping up whenever they happen. In doing so he returns to the theme that gripped our attention at the Crossings Conference in January and delivers some further reflections that didn’t surface there. Servants of Christ that you are, we trust you’ll find them useful. When tragedy befalls, our conversation about what God is doing falls generally in three camps. Some hold that God is hidden and silent. Others say God is hidden in these tragedies and by them speaks judgment. Still others hold there is no God. In the following case study, I offer an alternative. Eighteenth century Portugal was arguably the most devout nation in all of Europe, Catholic or Protestant. The churches were crowded on the morning of All Saints’ Day, November 1, 1755 when a magnitude nine earthquake struck the city in three waves. Those not trapped in fallen buildings fled to the open area around the harbor. They were swept away by the tsunamis which followed the earthquake. Fires spread from the candles in the ruined churches. The fires raged for a week, incinerating those trapped in the rubble. 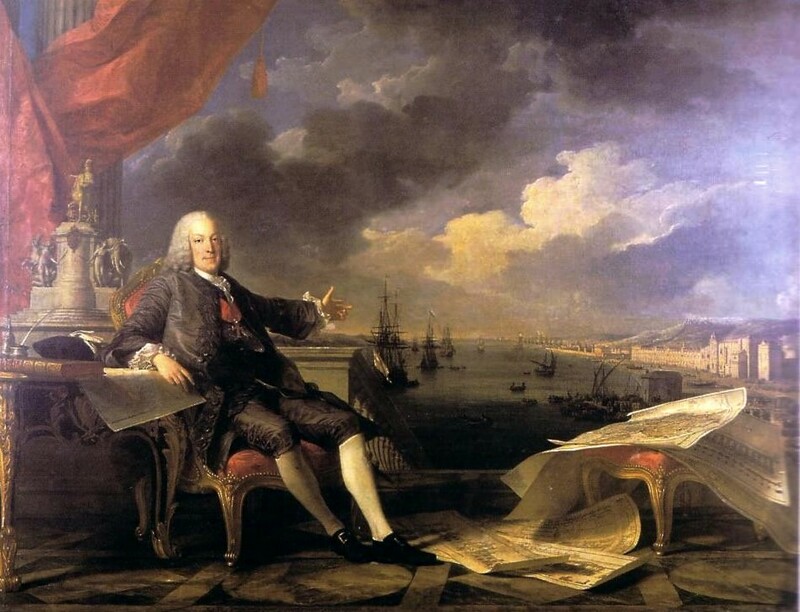 In 1755 the population of Lisbon was 250,000. Estimates of the number of people who died range from 60,000 to as high as 100,000 people. Eighty-five percent of the buildings in Lisbon were destroyed. Both Roman Catholics and Protestants explained the earthquake as God’s judgment upon the people. Father Gabriel Malagrida of Lisbon was the most notorious of the priests who terrorized the people with sermons calling for their repentance and warning them that worse judgment was coming. John Wesley said the earthquake was God’s judgment upon Portugal for the Inquisition. Dutch Calvinists called out the Portuguese for their superstition and popery. The earthquake challenged the optimism of the Enlightenment. Leibniz published an essay on theodicy in 1710 in which he asserted that this is the best of all possible worlds since it was created by a good and all-powerful God. Leibniz pronounced, “Whatever is, is right.” Upon reading his essay a French critic coined the word optimisme. Voltaire sent the poem to Jean-Jacques Rousseau. In Rousseau’s response he said the indifferent workings of nature caused the earthquake and people were to blame for the high death toll because they insisted on living in densely packed cities. The theme of the conference held this past January was “When God Is Silent.” It is a terrible and faith shaking irony that the majority of the 60,000 to 100,000 people who died that day did so in church, listening to the promises of the scripture texts appointed for All Saints and participating in those promises in the Lord’s Supper. Was God silent that day? Were God’s promises overpowered by another force? Were Father Malagrida, John Wesley, and the Dutch Calvinists correct in saying God spoke judgment in earthquake, fire, and flood? them God not only moved in with his people but offered words of comfort. Through them God acted to alleviate their hunger, thirst, and need for shelter. God also spoke and worked through the efforts of the Portuguese Prime Minister, Sebastião de Melo, the Marquis de Pombal. His mantra was “bury the dead and take care of the living.” He sent firefighters into the city to extinguish the raging fires. He conscripted the able bodied to collect the dead and had the army surround the city to prevent the able bodied from fleeing. In order to prevent disease and against the objections of the church he ordered many of the dead loaded on barges and buried at sea. He had gallows constructed at the high points of the city to deter looters. He ordered supplies of food, clothing, and the construction of temporary shelter. But in fact, Christ has been raised from the dead, the first fruits of those who have died. For since death came through a human being, the resurrection of the dead has also come through a human being; for as all die in Adam, so all will be made alive in Christ. But each in his own order: Christ the first fruits, then at his coming those who belong to Christ. Then comes the end, when he hands over the kingdom to God the Father, after he has destroyed every ruler and every authority and power. For he must reign until he has put all his enemies under his feet. The last enemy to be destroyed is death. For “God has put all things in subjection under his feet.” But when it says, “All things are put in subjection,” it is plain that this does not include the one who put all things in subjection under him. When all things are subjected to him, then the Son himself will be also be subjected to the one who put all things in subjection under him, so that God may be all in all. The Christ enthroned is heaven is not at rest. He is actively at work subjecting all the inimical powers, the forces hostile to God’s dominion, and the tyrants disfiguring God’s good creation. In the example of Lisbon’s earthquake, I see Christ at work through the Prime Minister and in the parish priests who stayed at their stations with their stricken parishioners. Christ was hidden in their efforts to relieve suffering and in their work we witness the continuing encroachment of God’s kingdom upon this old order of sin and death. God exists with us on the same plane in which we live our ordinary lives. God’s presence and power are not present in the same manner as are other powers. An analogy may lie in the ten or so dimensions of reality proposed by theoretical physicists. These dimensions are visible in their math but not to the naked eye. God reveals his presence and power at the cross and in the needs of those who cannot help themselves. God’s kingdom exists alongside other ungodly principalities and powers which lay claim to our world and our lives. We have it on good authority that these principalities and powers will not last. Jesus came to inaugurate the kingdom of God. By Jesus’ teachings and actions in these latter days, he gives us a fore-sighting of God’s kingdom fulfilled. By his death, resurrection, and ascension the kingdom of God draws near. Jesus said the kingdom of God is at hand. He does not mean in hand. That awaits his coming again. Even then it will not be in our hands but we in his. We live in the latter days, the time between Jesus’ first advent and his return. At the cross of Christ, the sphere that is the kingdom of God overwhelmed the inimical power of the unholy trinity of sin, death, and devil. Christ’s return will mark the consummation of God’s kingdom come and the fulfillment of the creation. The powers hostile to God’s rule will be no more. Grace Lutheran Church and School, Bach Cantata Vespers, September 20, 2015. Modahl, Bruce. The Banality of Grace. Due this summer from Cascade Books. New World Encyclopedia contributors, “Lisbon earthquake 1755,” New World Encyclopedia (accessed October 18, 2018). Shrady, Nicholas. 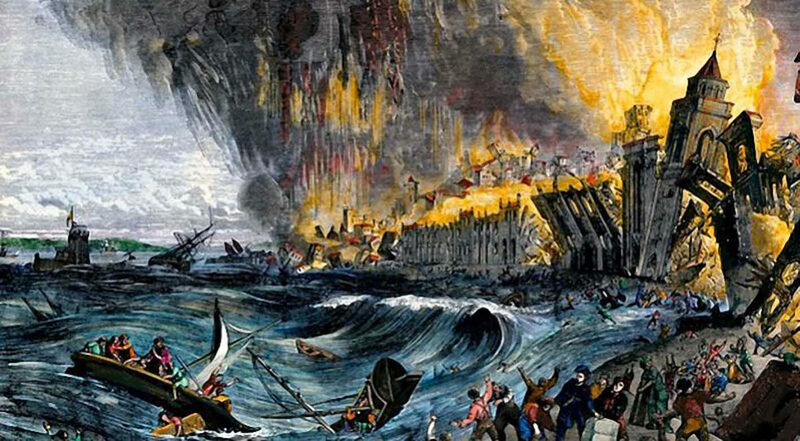 The Last Day: Wrath, Ruin, and Reason in the Great Lisbon Earthquake of 1755. Viking Penguin: New York, 2008.